Having a Nobel Prize does not protect you from ending in the saloon bar, especially nowadays. Luc Montagnier, Nobel Prize laureate for the discovery of the AIDS virus, is a perfect illustration of this. In 2010, disappointed by the welcome he received in France, he goes to China, and in an interview in Science, he announced that water memory, homeopathy and extreme dilutions are scientifically real and proven phenomena. As a result, the treatment of autism, Parkinson’s disease and Alzheimer’s required to determine how the bacteria and DNA are modified by “water-mediated electromagnetic” waves affecting the brain. His works have been published in an obscure journal and confirmed by no one ! It does not matter, this is due to the conservatism of the scientific community and one has to wait, like Galileo, to have at some point the glory of the discovery. 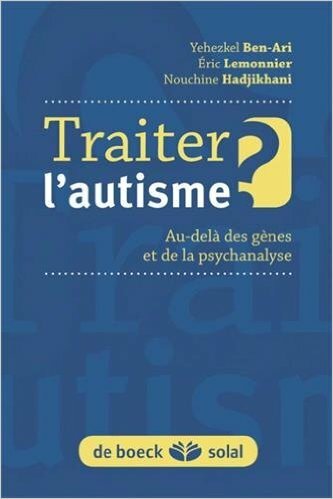 In the meantime, Professor Montagnier instruct that autism is cured by antibiotics and that quickly, he will also cure others diseases from his lab in China, where the authorities are more open than in Europe and the USA. Autists would have waves generated by the DNA of this bad bacteria and he would like to perform a trial to demonstrate the presence of these waves in autists then diagnose and treat these patients. It was in 2010, nothing since except for few scientific articles in an obscure journal and some momentous passages on TV. More recently, Mr. Montagnier stands up with Mr. Joyeux to denigrate vaccines. The latter was struck off the medical order because of “statements not based on scientific basis affecting the medical profession”. These happy has-beens have been joined by Dr. Xavier Dor, who is against abortion, and the circle has been closed. After Adjani and her science, here is a duet of incompetent persons in these fields attacking vaccines with vengeance. Truly, having iconoclastic ideas doesn’t protect you from professing nonsense. The rapprochement with the right wing is never far away because when it comes to challenging and proposing nebulous ideas like “what we should do”, this little world cheerfully meets again.